Yes, they're called volume keys, but they can do much more than adjust your volume. With minimal effort, you can do some amazing things with these physical buttons, like secretly record videos, toggle on your flashlight, scroll through pages, control your music, and much more. 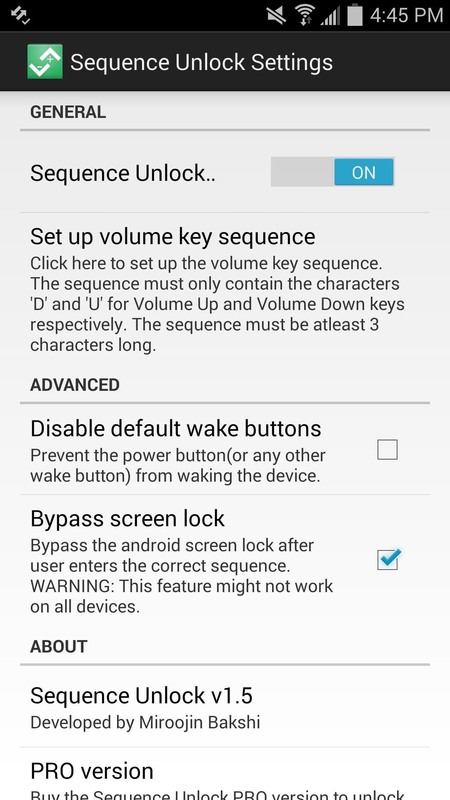 And while using them to wake your screen is useful, let's take it a step further and show you how to use them to completely unlock your device, even if the screen is off. In order to manipulate your volume keys and assign them other tasks, you will need to be rooted with the Xposed Framework installed, as well as have "Unknown sources" enabled. 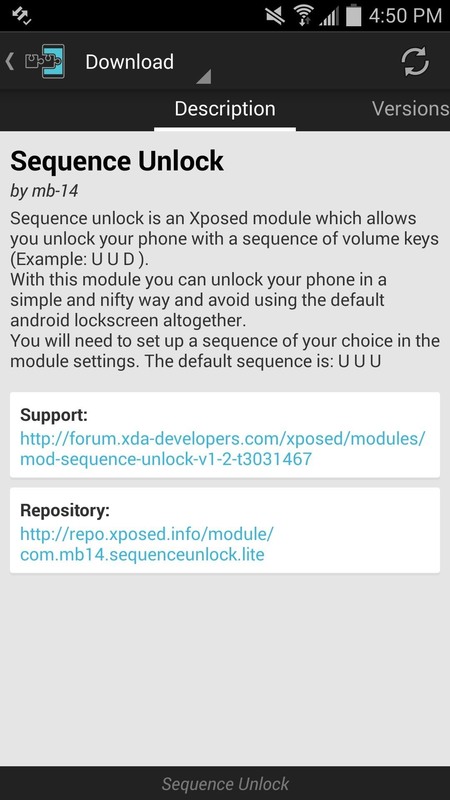 Note that for the time being, this Xposed module is not functional on devices running Android Lollipop yet. Check our up-to-date list for other Lollipop-compatible modules that are available right now. Enter the Xposed Installer app found in your app drawer, then search for and install Sequence Unlock from developer Miroojin Bakshi. Once you've installed the module, be sure to properly activate it. You can also download a paid version ($1.59) from the Google Play Store that mainly works to donate to the dev, but it also unlocks extra features like vibrating on failed attempts and setting sequence-timeout intervals. Open the app to access its preferences, then enable the service and set up your unique sequence. 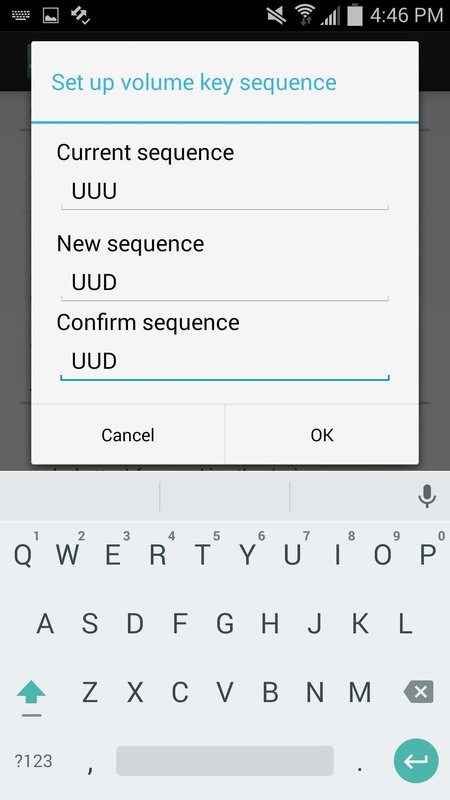 To do so, enter "UUU" as the "Current sequence," then begin creating your own using the letters U (up) and D (down). The sequence will need to be at least three characters. Also included in the preferences are options to bypass your screen lock with the secret volume sequence you've created, and you can even disable the power button from waking the device. Don't just take my word for it, take a look at the embedded video above to see this mod in action. Let us know your thoughts in the comment section below, and make sure to follow Gadget Hacks on Facebook, Google+, and Twitter to stay up to date on new mods and hacks for Android. Hi, I like the idea its a brilliant one. But why do I need to hack my own phone? 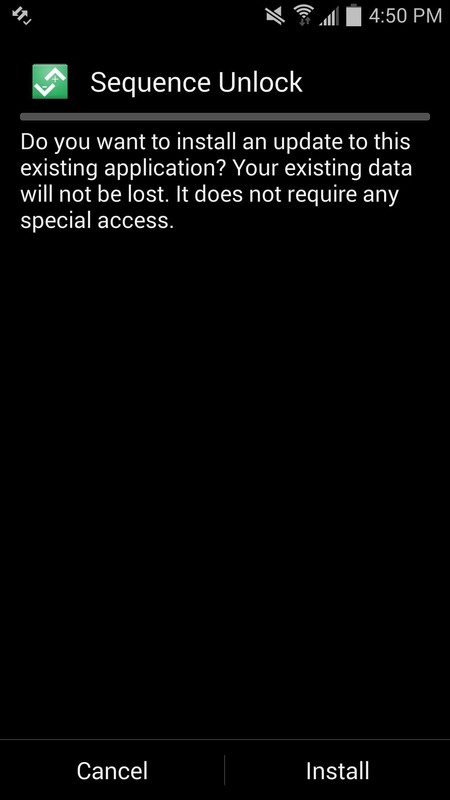 This app relies on root-level system access to actually bypass the lock screen mechanism.